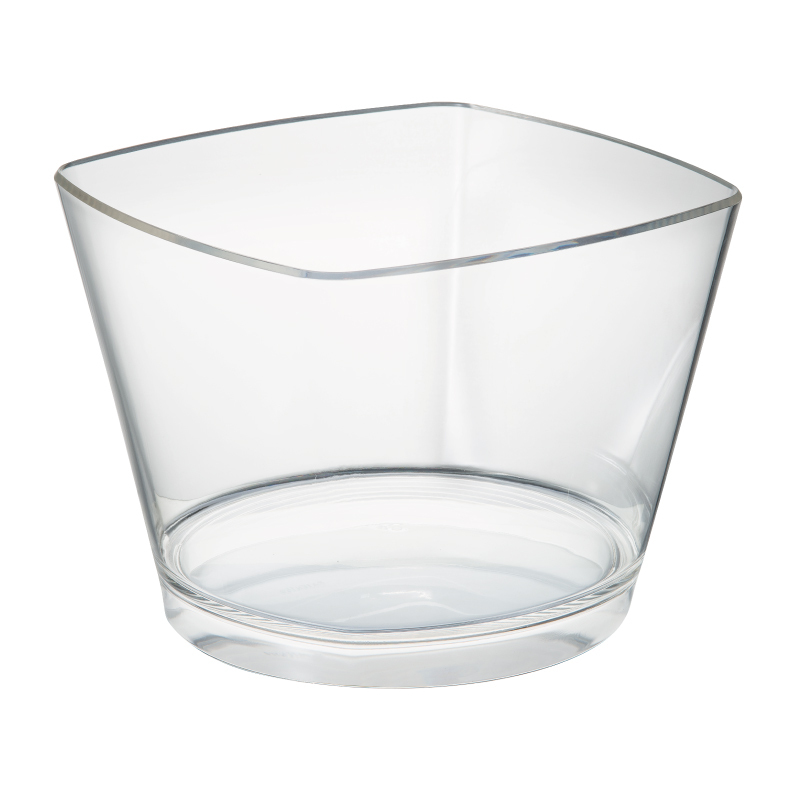 Geometric style, with cornered top and curved base. The Square Large Wine Bucket can be branded or personalised from as few as 12 pcs with vinyl label. Art deco feel, clear acrylic finish displays wine bottles. Great ice bath for promotional outdoors events.